Inbound marketing methods offer immense value, helping you forge strong connections with your prospective customers, give value and build your brand. However, without the right information, it can be easy to go wrong. How do you know that you’re actually seeing the right ROI from your efforts, or any ROI at all for that matter? 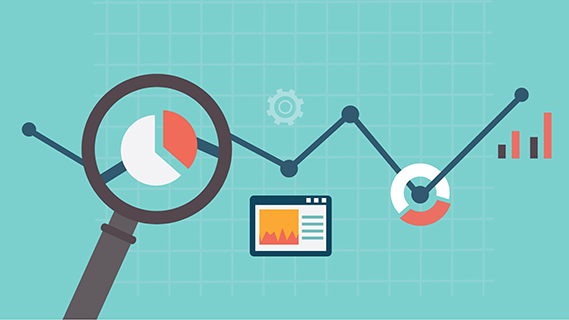 You have to measure, analyze, track and adjust inbound marketing campaigns, and that requires an understanding of analytics. It really all boils down to understanding a few key areas, though. Who and Where One of the primary factors you’ll need to track with your campaign is traffic. That is, you need to know how many people are visiting your website (or other online destination) and where they came from. Without this basic information, your efforts are dead in the water. You’ll have no way to determine whether that influx of visitors came from your Facebook post, your blog, a guest post on someone else’s site, or somewhere else. You also need to track repeat visitors, as these are obviously interested in what you have to offer, and are in the midst of the buy/don’t buy decision. Monitor the Quality of Inbound Links Link building is part of off-page SEO, a vital consideration with inbound marketing. However, not all links are of the same quality, and low-quality links can actually throw up red flags with Google. Make sure you’re monitoring the quality of your inbound links and adjusting your link building activities to stay true to Google’s playbook. This is more important than you might think, with some experts pointing out that inbound links matter 70% more than on-page SEO elements (with a fully established, mature website and all other things being equal). Click-Through Rate In most inbound marketing instances, you’ll have a link leading to a specific destination, the goal here being for your viewers to “click through” to the destination. All the marketing in the world won’t do you any good if you can’t measure your click-through rate, though (CTR). This information can help you determine a lot of things, including how appealing your audience finds your message, whether your calls to action need work and more. Monitor Social Engagement A lot of your inbound marketing efforts will likely be centered on social networks. However, if no one is talking about your brand, then you’re not going to see any results. If you’re not getting feedback, comments, questions or other interaction, your campaign is doomed. You need to measure the amount of engagement per campaign and per network to determine where your efforts need to be refined, where your audience is most receptive, and whether or not your social media presence needs to be revamped (with some actual sociability in there). These are just a few of the ways that analytics helps you create more successful inbound marketing campaigns, and at Peppersack, we can help. We have extensive experience with inbound marketing, and can ensure that you have the information necessary to make smart decisions.